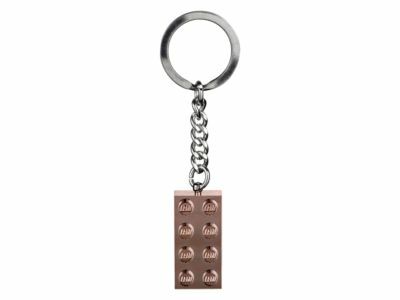 Ramp up your LEGO® style with this elegant 2x4 Rose Gold Keyring, featuring a metalized rose-gold colored LEGO brick on a durable metal ring andrings. Attach it to your keys or backpack to stand out from the crowd. The 2x4 Rose Gold Keyring (853793) Lego set is available from the sites below. However, they do not offer delivery to your selected region. Alternate description Adorn your keys with a beautiful LEGO® brick! Features a metalized, rose-gold colored 2x4 LEGO® brick attached to a durable metal ring andrings.